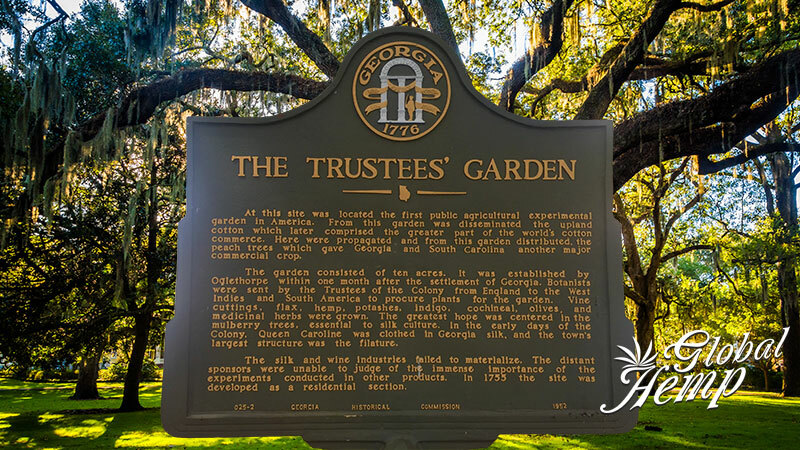 The first public agricultural experimental garden in America was located in Savannah, Georgia. In addition to food, they grew several fiber crops including hemp, flax, and even silk, but to no avail. Instead, cotton became king, and it was just three miles up the Savannah River from the Trustees’ Garden where Eli Whitney invented the cotton gin which revolutionized the cotton industry.